Typically, brides (and some grooms) dream of their future wedding day, but when it finally comes to planning, it can be overwhelming. Where to start? Who to contact? How to contact? We can't answer for all of the details, but hopefully Petal Town Flowers can make the wedding floral planning super easy. The best way to get started is to create a Pinterest board. Collect photos and ideas from around the web that you like, or even think you like. Look up your favorite celebrities weddings, your favorite wine country venues, even your favorite bohemian ranch in west Sonoma County. In fact, you may be surprised how your style changes as you discover more flowers, color palettes and venue styles. You can check out our Pinterest board to give you a head start! 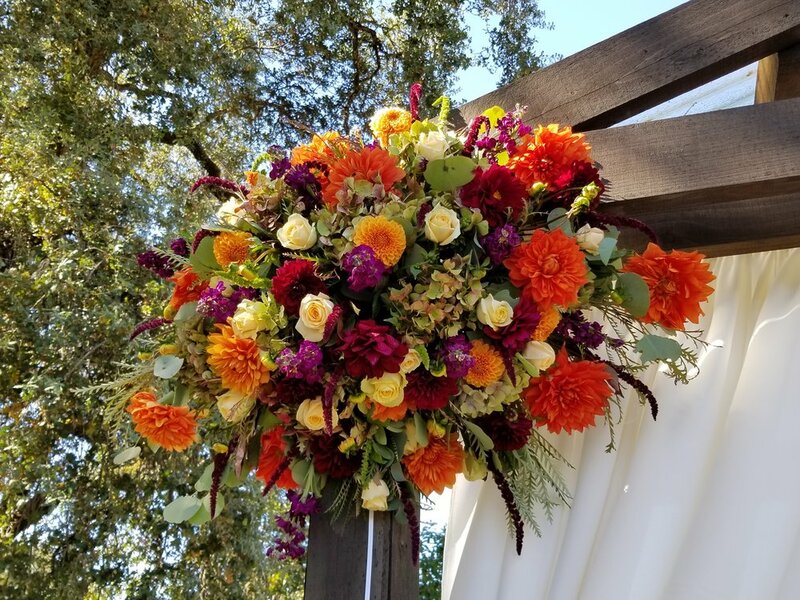 After you have a vague idea of the style or color palette you like, download our Wedding Flower Questionnaire from the Petal Town Flowers Learn More page or click here: Wedding Flower Questionnaire . This will help you think about your bridal bouquet, how many bridesmaids bouquets you will need, how to spell the man-flower thingy (boutonniere) and so much more. We love to communicate with our brides and grooms. Send us an email with questions, photos, pinterest links... we will help you through the creation process so you end up with your style on your day. Happy New Year from Petal Town Flowers and have a great time planning your wedding!